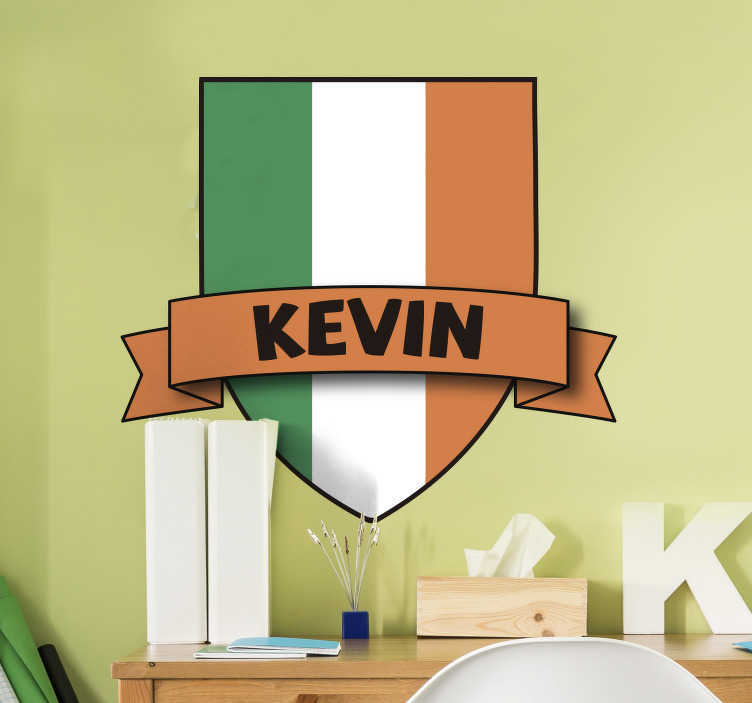 Ireland flag wall sticker - Decorate your kids bedroom with their name on the beloved flag of Ireland. The Irish flag wall decal can also be used for bars and businesses. Personalise the Irish flag with a name of your choice. Your child will feel special every time they see their name in front of the tri-colour. Also, a great flag decal to advertise the name of an Irish bar. The personalised sticker comes in many different sizes. All of our stickers are easy to apply and leave no residue upon removal. Made from high quality, anti-bubble vinyl.